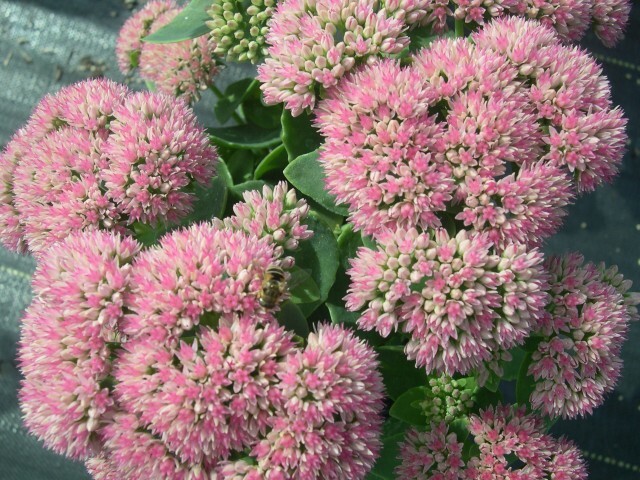 This variety of fall blooming upright garden Sedum is considered by many to be an improvement on the variety Sedum 'Autumn Joy'. Forms sturdy clumps of heat tolerant foliage 18-24 inches tall that bloom with large clusters of dusky-pink flowers in Autumn. Very Hardy.